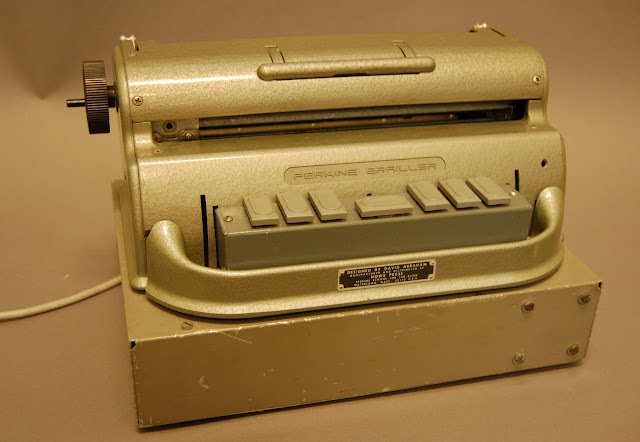 Our object this week is one of the first commercially available personal braille printers aimed at the home market. Although researchers had introduced braille printers such as the MIT Braillemboss as early as 1969, they were expensive, balky, and unaffordable for individual consumers. The Cranmer, priced at under $3,000, could be connected to a home computer and used as a braille embosser or used as an electric braillewriter. It was the last project of Tim Cranmer, as Director of Technical Services for the Kentucky Department of the Blind, and engineered by Wayne Thompson. The prototype of this device was the Kentucky Modified Perkins Brailler, developed in 1981-82, basically a manual Perkins Brailler stacked on a chassis full of electronics. The Cranmer Modified Perkins Brailler was its direct commercial successor—introduced in 1983--and included a lot of plastic parts to lessen the weight. 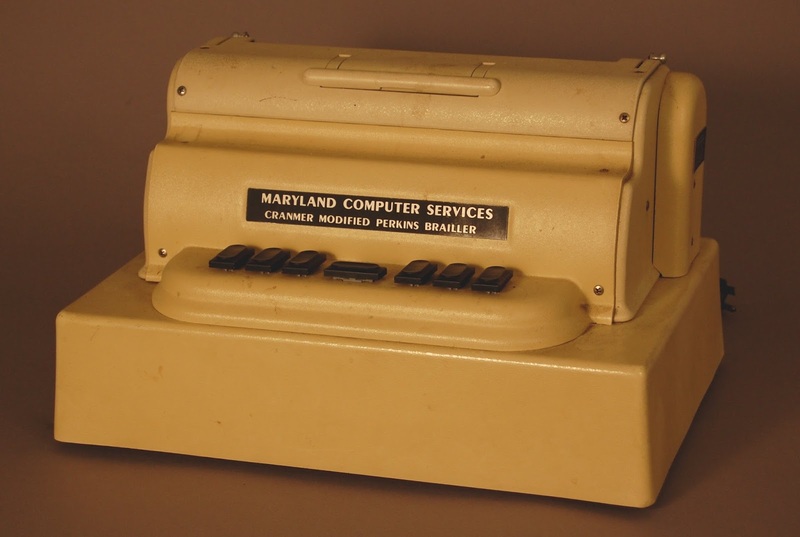 Over 1,000 units were sold by Maryland Computer Services (which later became Blazie Engineering). About 30 units were also built by the local Louisville Telephone Pioneers Group. A big limitation was paper loading: you had to load your paper one page at a time. Later home embossers used tractor fed paper similar to dot matrix printers used in the print world. The operator’s manual was written by our late colleague Fred Gissonni, and has a good walkthrough if you’re interested in all that the machine could do. Terrence “Tim” Cranmer was an interesting guy and a true pioneer. His obituary tells you everything you need to know.